To be, or not to be, that is the question! The question that is topical even nowadays. The year is taking over, and many people who dream of launching their own business are wondering whether they should start dropshipping in 2019. As some eCommerce “experts” like to warn others, the hype for it has already worn off. Do their claims have a ground? Let’s figure it out! What usually kindles people’s passion to follow their dreams? Right, the same thing that could prevent them from doing so. The stories of other people’s success or failure. The first ones could inspire. The second – rid you of “illusions”. A lot of time has passed since companies like Amazon, eBay and Alibaba broke the mold and established new rules. Before that, most people could only dream of having their own businesses. Whereas getting access to the international audience was an unaffordable luxury which only the richest companies could brag about. Instead of putting money into big offices and warehouses and hiring a lot of staff to manage the process, entrepreneurs discovered they could run their business with a PC or laptop. Wasn’t it inspiring? Of course, it was! Since then, the trend of less staff and inventory in business has been affecting almost every industry. As the result, we’ve got Uber, Airbnb and thousands of dropshipping entrepreneurs launching their online stores every year. Some people like to paint a black picture of dropshipping future. But should you take them at their words? Is there any sign of dropshipping playing itself out? Nope. Actually, there are at least 7 strong reasons to start dropshipping business in 2019. Here they are! In the sales industry, we see a stable eCommerce growth from year to year. In 2018, only in North America, it grew by 16% to over $500 billion. Besides, according to 451 Research, a leading technology and advisory firm, global eCommerce transactions will grow at more than 20% rate. Their total amount is predicted to exceed $5.5 trillions by 2022. Meanwhile, even well-established and rich brick and mortar giants have made a point of selling their products online. For them, it’s a remedy to reduce their spending on staff and inventory for avoiding bankruptcy. 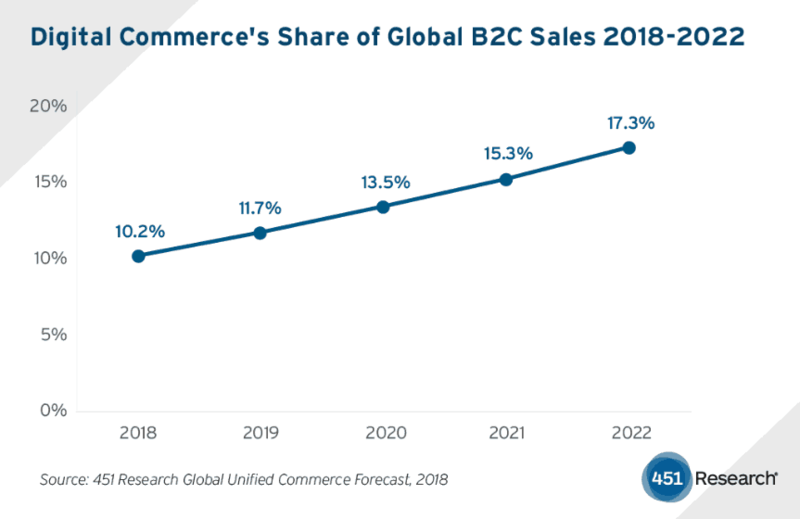 And it leads us to the second reason why you should start dropshipping in 2019. The traditional model of retail business is undergoing irretrievable changes. The huge investments in staff, warehouses and stores put a strain on brick and mortar companies. As the result, plenty of them have gone belly-up, and many are expected to do so. According to CNBC Lauren Thomas’s report, the amount of retail space closing in 2018 is going to break the record. Big retail companies were compelled to move out of business due to the huge maintenance cost that brick and mortar business requires. However, there is a bright side of this story for dropshipping entrepreneurs. While these unfortunate companies are going bankrupt, they’re leaving a gap in the market – and dozens of their ex-clients. Why wouldn’t you fill the gap and win the abandoned market share? Since dropshipping is free from the burden dragging down brick and mortar retailers, it seems to be a great chance to succeed! Does your grandpa have an account on Facebook? If not, he may have it soon. 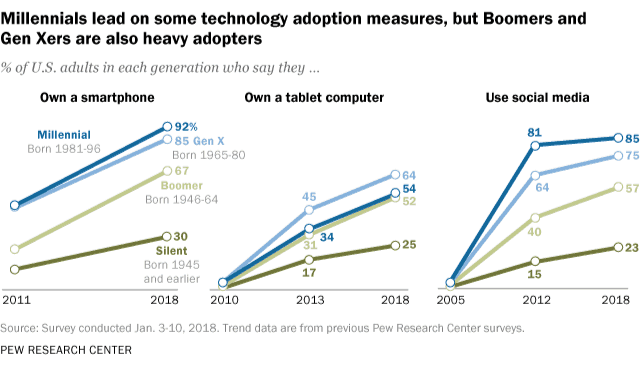 According to the research conducted by Pew Research Center in 2018, more than nine-in-ten millennials in the US own smartphones. That’s only 7% more than so-called Gen Xers (age 38-53). They are followed by generation of Baby Boomers (age 54 to 72) – 67%, and Silent generation (age 73 to 90) – 30%. As technological progress keeps advancing, mobile devices are becoming more and more widespread among people. 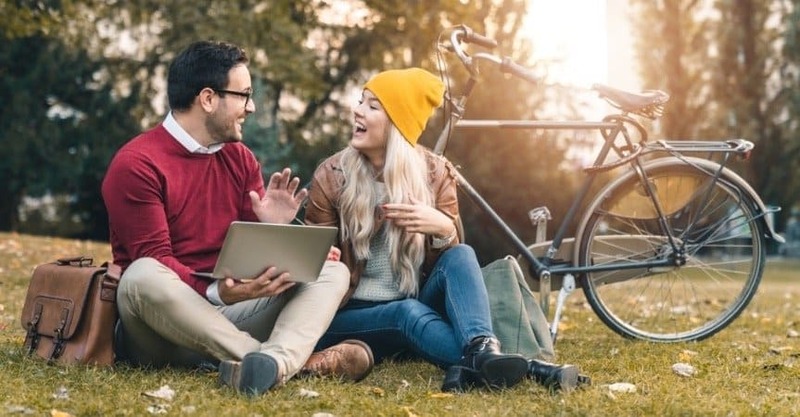 Even older generations following the example of so-called millennials deepen their dependence from their smartphones and tablets for dealing with everyday problems. 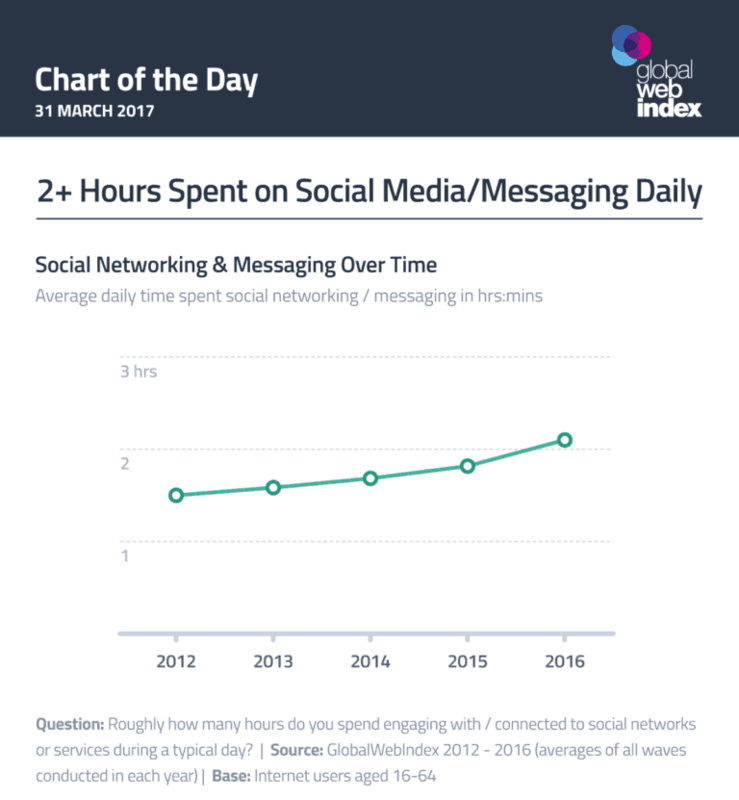 Another great sign that looks promising for online entrepreneurs is the increase in time the average internet user spends on social media. This time equals a bit more than 2 hours. Social networks have always been useful marketing tools for online stores’ owners. They have always been serving as a bridge between customers and sellers. Social media users can get to a necessary online store in one click with the help of Facebook or Instagram ads or direct links within social communities. In 2019, social networks promise to bring online shopping to a new level. Following by Facebook, Instagram will allow its users to register their credit cards as part of their accounts. That will let them make a purchase right on the social network. As the result, it will reduce the process of checking out to one click and increase online sales. One challenge every business is going to face in 2019 is overcoming the lack of customer trust. It’s never been so hard to win trust and so easy to lose it as is is today. Believing anyone becomes difficult if you’re surrounded by “fake news”, cunning criminals and hackers. But it starts getting worse when you bring a global scale fraud to light. Everyone remembers the infamous “Dieselgate”. Volkswagen, a company that is supposed to cherish its customers, put money before the clients. The company deliberately rigged its cars’ anti-pollution system in order to meet the US regulations. In other words, they betrayed customer trust for the sake of profit. By the way, this scandal caused an examination of other car makers. And it revealed that they had been cheating as well. Even the richest company in the world, Amazon, has feet of clay. A report of United States Government Accountability Office (GAO) shows that 43% of goods sold on Amazon and eBay were counterfeit! Of course, all these facts erode the reputation of well-established companies and institutions and deepen customer distrust. However, while big companies and authorities are losing their credibility, small online businesses might get some benefits. People tend to trust people who have the same way of thinking and share the same interests. At the same time, big firms and corporations look too distant and alien for them. If you start a niche dropshipping store that matches customers’ passions, you have all the chances to win their trust. The current generation of consumers is hungry for information about products they’re interested in. Therefore, you need to fill your online store with interesting and useful content, high quality images and descriptions. This way, your clients will treat you like someone from their circle. They are going to be in for a treat while visiting your website. Although earlier it took up to 2 month to get your purchase from AliExpress, most people were ready to wait patiently for it due to the low prices. Now, even the most impatient buyers can have a sigh of relief. After the US Post and Hong Kong Post signed an agreement which put a stop to the long customer anticipation, ePacket came to China! That meant goods no longer have to be shipped by sea, which significantly reduced delivery time. Many people who wanted to start dropshipping with AliExpress used to be scared that they could lose customers due to the waiting time. Since ePacket option became available, those fears have been unsound. With this option, buyers can receive their packages within 20 days! The combination of low prices and short shipping time should do the trick, shouldn’t it? It’s really striking how the world has changed in the last 30 years! 30 years ago, nobody could imagine buying anything without leaving their homes. Yes, the Internet and technological progress have definitely made our life different! A recent research conducted by EmpathyBroker in the UK reveals that 51% of consumers prefer to shop online rather than going to a physical shop. Another survey done by Periscope by McKinsey shows even the items of daily use are more and more commonly bought online! Indeed, what could in-store shopping offer consumers? Limited choice, high prices, staying in line? Doesn’t seem to be a great pleasure. People choose convenience. Online shopping gives it to them. Dropshipping is definitely a great business model. It allows people to avoid taking great risks related to huge investments as well as managing complicated process of storing and shipping goods. But would it be so easy and timesaving to run a dropshipping business without any automated software? Hardly. Imagine receiving each customer order, sending the necessary information to your supplier and tracking the package. How can you handle all these tasks manually? If you have two, five or even ten clients a week, it seems to be bearable then. However, it’s easy to confuse something, in my view. Anyway, what if you’ve got more customers? What then? In all likelihood, you’ll mess something up. Fortunately, a solution to this problem exists! Our team runs several self-owned dropshipping stores and knows all the obstacles and difficulties that entrepreneurs could face. Thus, we’ve developed software for dropshipping business based on our own experience. With its help, the process of running your shop will turn into plain sailing. AliDropship plugin automatically manages the most complicated tasks of your business process. So, you will be able to take your time to think of scaling your business. We’ve listed seven reasons why it’s worth starting dropshipping in 2019. Now, it’s up to you to weigh the risks you take and opportunities you may get. We have no doubt you’ll make the right decision. Good luck with your online business in 2019! Our team always strives to help people overcome any obstacles on their way to gain financial independence. We hope this article was useful and helpful for those who had their doubts about starting dropshipping in 2019. If you have any questions left, feel free to ask them in the comments section below! I am a Ugandan citizen and I have been studying a whole lot about dropshipping. I must say that this is a very great article Andrey. Thanks for sharing such awesome knowledge. You have given people like me a chance to see opportunities that give financial freedom because financial freedom is what we all long for. I look forward to starting my own AliExpress dropshipping store very soon. I would like to know if Dropshipping is a viable option from India considering customs and import regulations. Can you tell me how this would work from India? Of course, you can pull it off! Here is the story of a guy from India https://alidropship.com/dropshipping-india-success-story/ . If he’s able to do this, why can’t you?